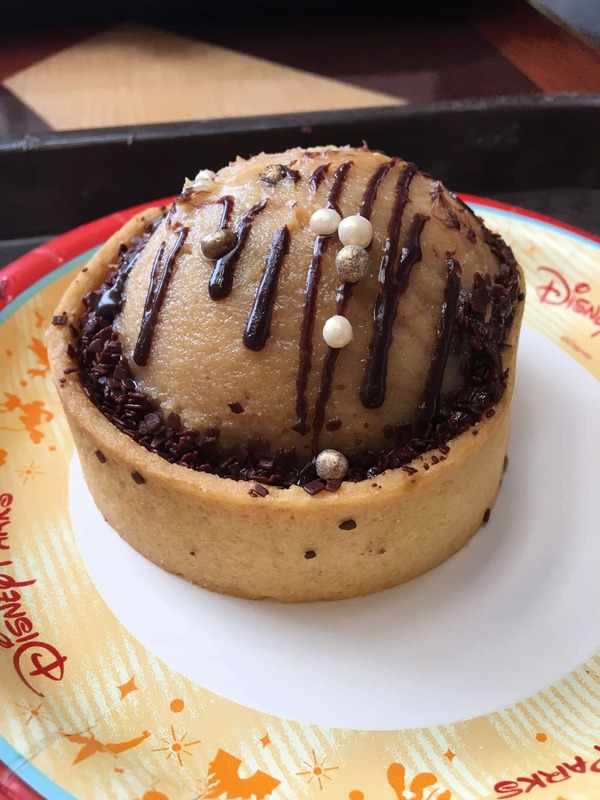 So it’s been over a month since I returned home from my trip to Disney World, and I thought it would be fun to share all of the good eats we had while we were there. There was no shortage of good food to eat in Disney World and I felt massively full almost every night when we went to bed. I definitely came home and wanted to eat just fruits and vegetables for just a week, but it was such an awesome trip and I was so happy to try a ton of food that Disney had to offer. 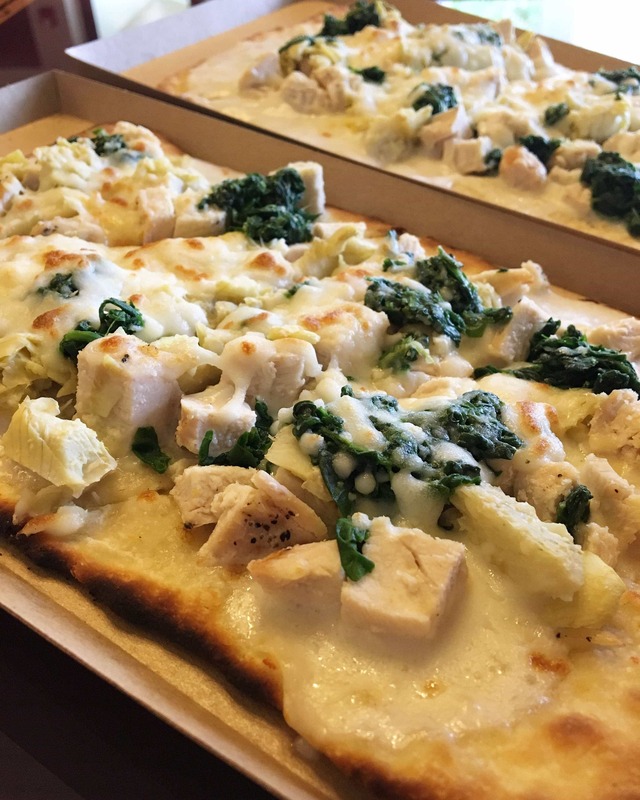 These spinach and artichoke flatbreads from the Artist’s Palette in Saratoga Springs resort were delish. I’m not sure if it was because this was our first meal after landing that morning or because they were actually that delicious. They were cheesy and perfect. Not pictured is the buffalo chicken sandwich and potato chips that we inhaled immediately as we sat down at the table. This little mini peanut butter pie was one of the most decadent desserts of the whole trip. We found this gem in the quick service restaurant, Contempo Cafe, in the Contemporary resort. It was so rich and peanut butter-y that I was glad we decided to split it. I would love to recreate this as a dessert for a special occasion. 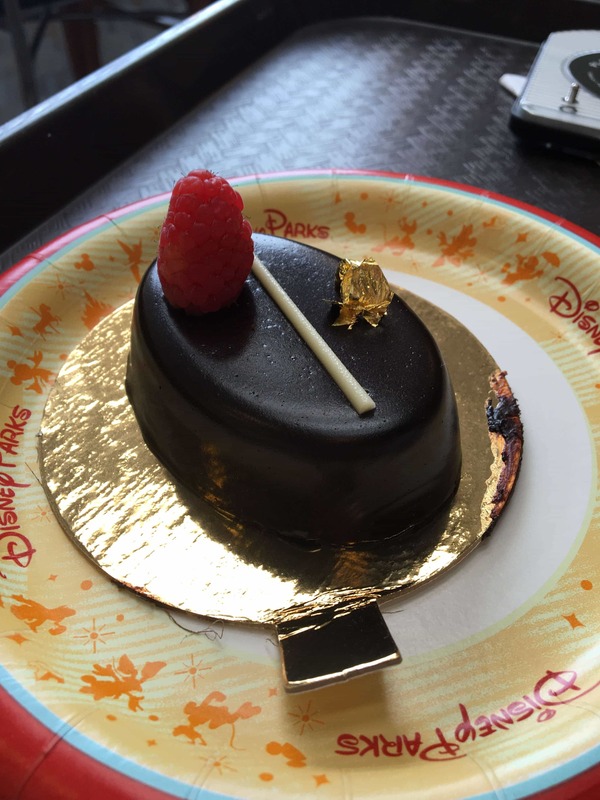 Flourless chocolate cake from the Contempo Cafe – this place really hit the nail on the head with its desserts. Although the Frozen cupcake (the movie, not the state of the cupcake) was a bit sugary and plain for my tastes, this cake was fantastic. And the peanut butter pie. YUM. 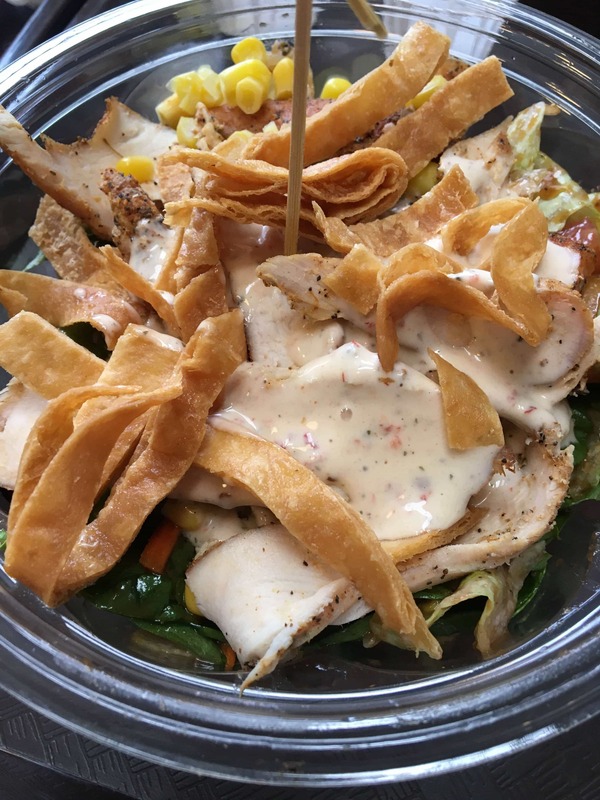 BBQ chicken salad from the Contempo Cafe was also a fantastic choice. I loved the dressing and toppings and was really surprised at the serving size. It was enough to fill me without being an overwhelming lunch. So initially, this day we were supposed to have dinner reservations at Coral Reef in Epcot. 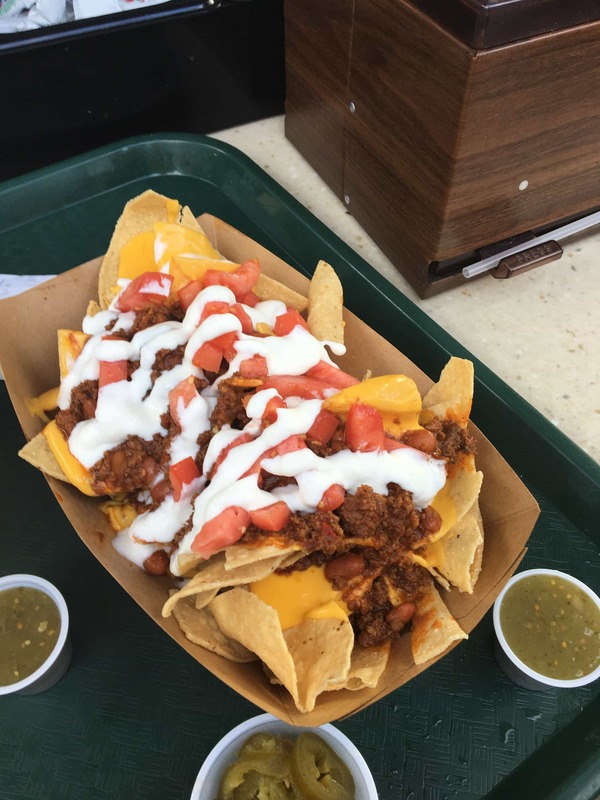 After browsing the menu and realizing we are broke and can’t afford a $35-40 entree, we decided to split this bowl of nachos from a food court outside of Mexico in the World Showcase before going to the Coral Reef to have drinks and dessert. We sat at picnic benches overlooking the lake while we ate this (messy) pile of nachos. The verde salsa was surprisingly delicious! This adorable turtle cheesecake (in the shape of a turtle!!!) from Coral Reef might’ve been one of my favorite desserts of the whole trip. Which is saying a lot, since we did attend the Star Wars Dessert Party in Hollywood Studios. I don’t have pictures from that because it was kind of dark… But this turtle cheesecake was perfectly smooth and had all of the beautiful nutty and caramelly flavors of a turtle cheesecake with the most adorable presentation. Coral Reef is also a really great spot to get a bite to eat because it’s situated with one wall against the aquarium in the Living Seas in Epcot. I definitely recommend this spot! Chicken teriyaki bao tacos from Morimoto’s Street Food stand in Disney Springs was surprisingly lovely. 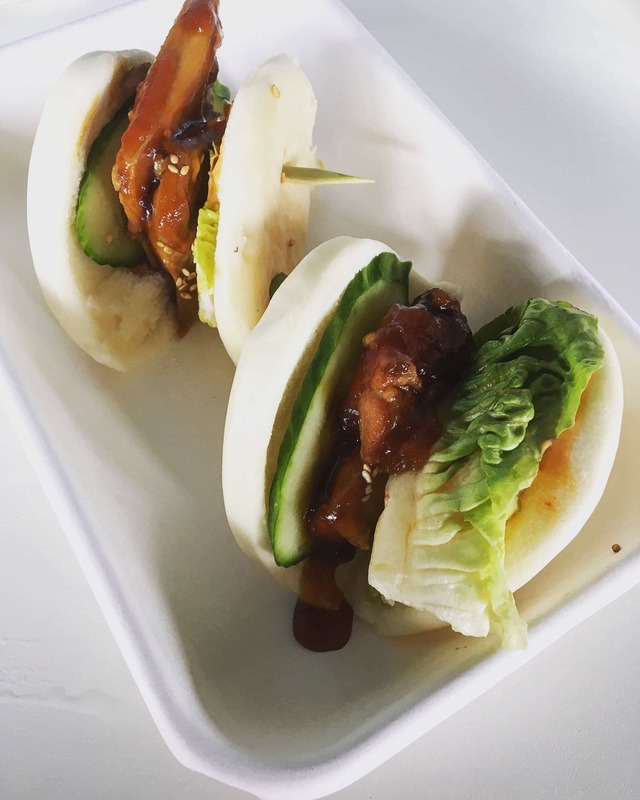 I’m an uncultured swine and had never tasted any sort of bao buns, but the flavors here were fresh and not too salty, and the sauce and cucumber slices were really refreshing for a light lunch that day. I may have preceded this lunch with a grande nonfat caramel iced coffee and a venti water from the Starbucks in Disney Springs. It’s hot and sticky in Florida in August. 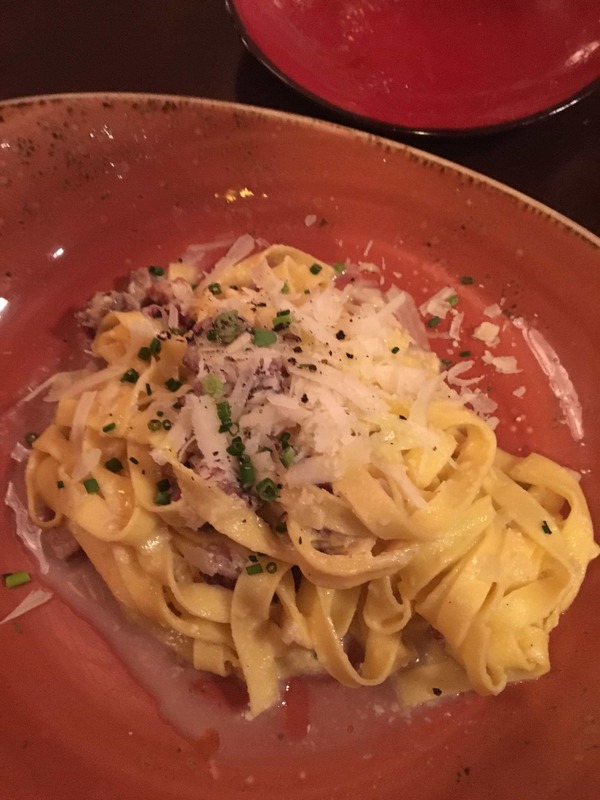 This was a carbonara dish was lovely, but I wish it was just a tad more flavorful. The pancetta was a solid addition. The Trattoria al Forno on the Boardwalk was lovely and our server was a pleasant man so this made the meal even more memorable. My friend’s short rib and pasta dish was so amazing, though. I don’t know what it was called, but it was cooked in a red wine sauce, and that’s all I needed to be a convert. If I had the opportunity, I’d go back and try another dish from here. Trattoria al Forno, you made me fall in love with affogato. 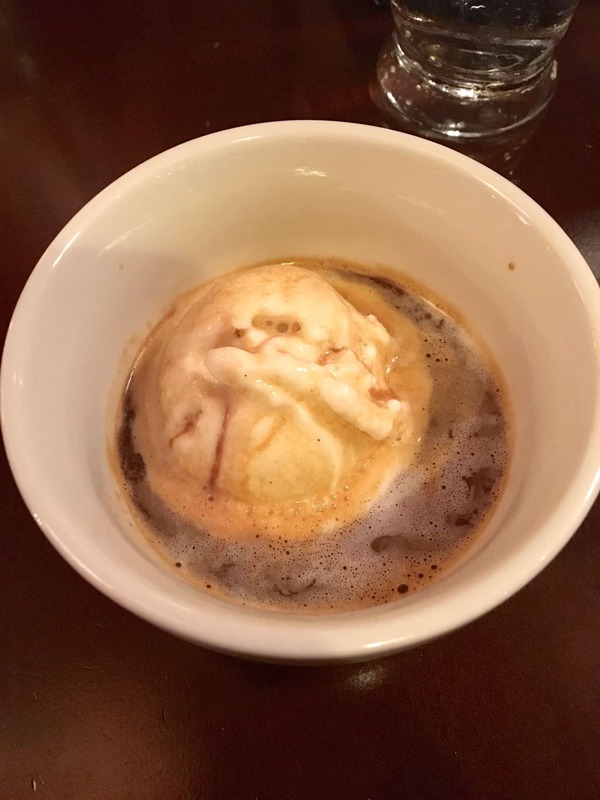 Affogato is a shot of espresso poured over top of a scoop of gelato. I got plain vanilla and my friend got hazelnut gelato. What a great way to end the meal. I was so pleased with this after-dinner treat. So I’m sure everyone and their mom has had a Dole Whip, but my friend and I had never had the pleasure of eating one. Apparently they’re only located at select parks and resorts, so we had to do our research to find one. I wish I had the stomach capacity to order the Dole Whip mixed in with vanilla ice cream – but I was so full to begin with and probably shouldn’t have ordered this one. It was sweet and ice cold, which was definitely what I needed after sweating my life out on our first night in Magic Kingdom. 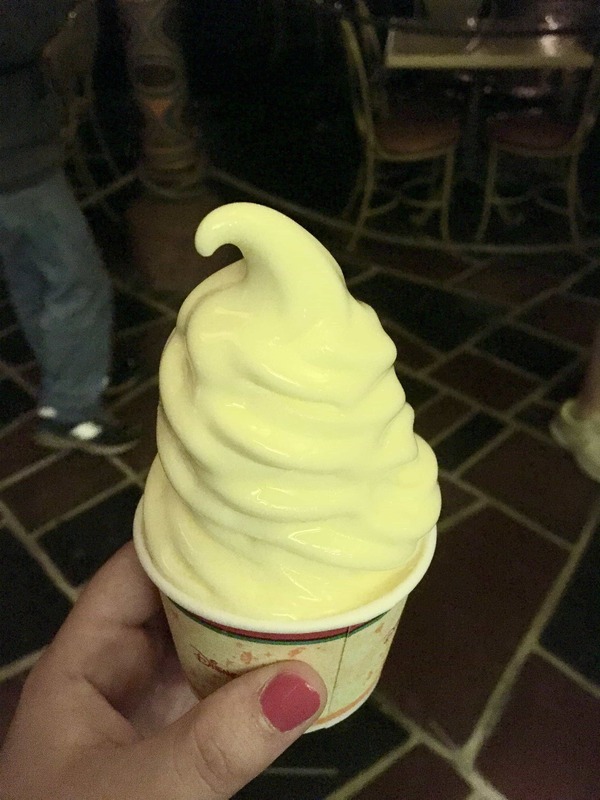 Pictured below is a melty rendition of the Dole Whip. 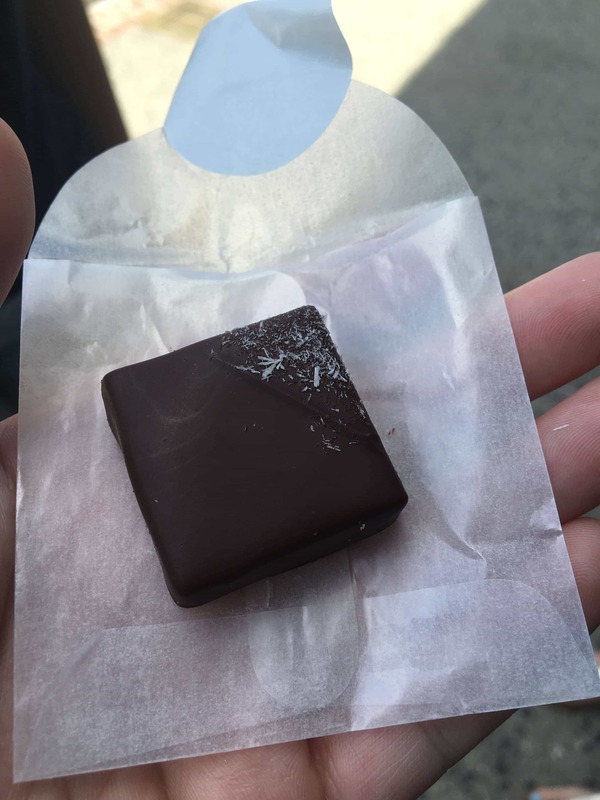 This little Egyptian sea salt truffle from The Ganacherie in Disney Springs was fantastic! It was a tad expensive, but definitely worth a stop in to check out the artfully crafted truffles and bonbons. My only regret was that I couldn’t eat more chocolate this trip. Maybe next time. 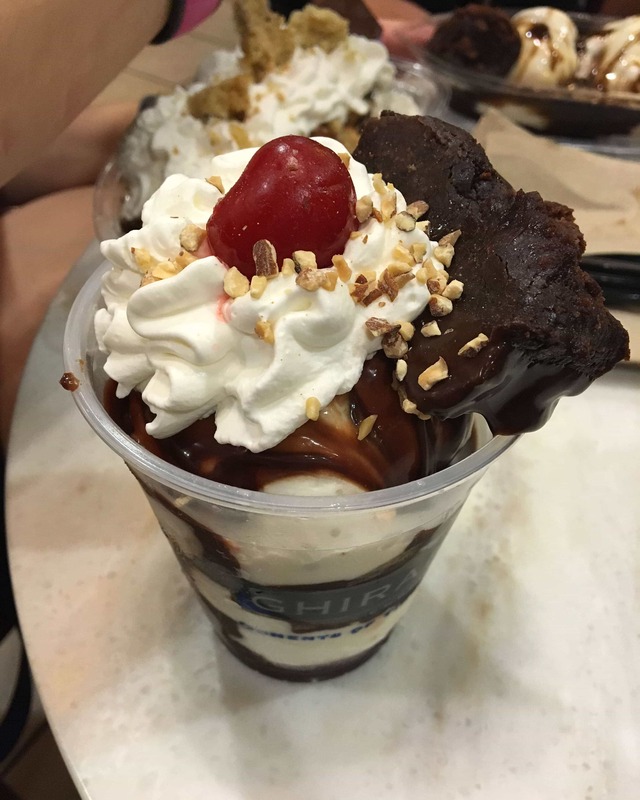 Back in 2012, my mom insisted that we just go home and not stop back in Downtown Disney (now called Disney Springs) to go to the flagship Ghirardelli store to get a sundae. I was really heartbroken about it and googled where the other stores were located and was depressed to find out they were mostly in California. 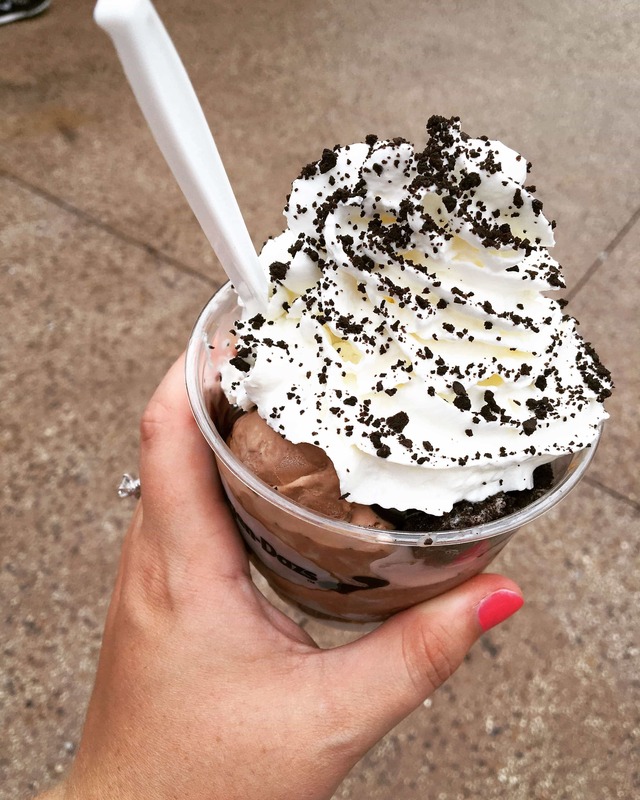 Thankfully, when the big man and I went to Boston this past February there was one there for us to split a sundae. It was everything I wanted and more. After a rousing game of mini golf at Winter Summerland (check it out, it’s adorably Christmas themed with two courses that are decorated with winter and summer Christmas decorations, we made a mad dash back to Disney Springs to the Ghrirardelli store to make sure we got in line before they closed for the night. Priorities, people. As you can tell, we got there with just enough time to spare and order delicious desserts. I wish they had offered a smaller portion, because I was so so so full. I was also very very satisfied. This steak from The Wave (of American Flavors) was also fabulous. After having chicken for most of my meals out, it was a treat to have some red meat. 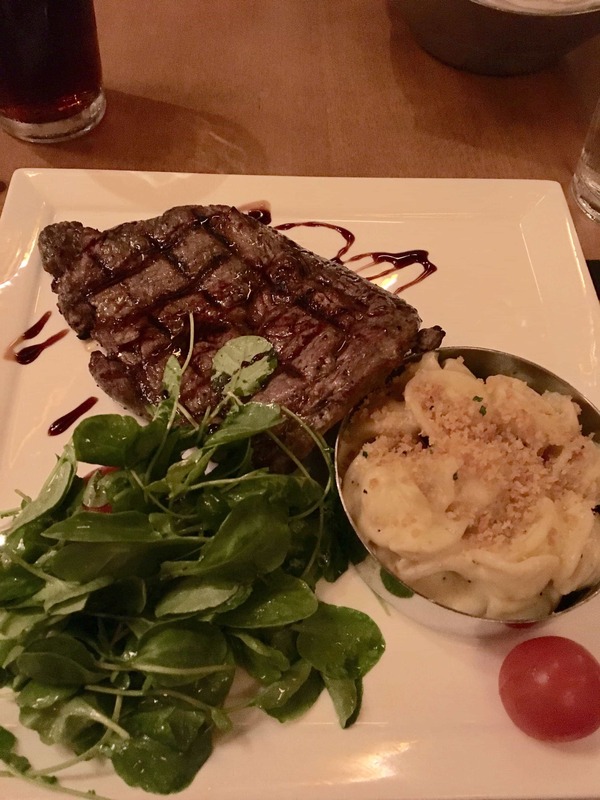 I feel like a terrible person for not remembering if it was a sirloin or other cut of beef – it was delicious, though. Sides pictured were orichette mac and cheese (yum) and some bitter green that I wasn’t really a fan of. Sorry, veggie people. I don’t know what they were. 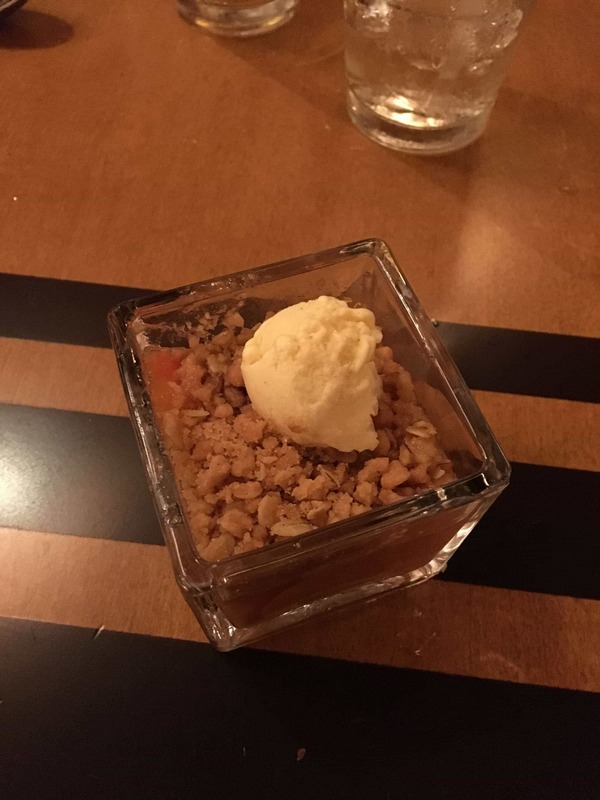 This mini peach cobbler was the perfect ending to the meal at The Wave. I would be much happier if all desserts were offered to eat in mini portions. The Big Kahuna breakfast platter from the Polynesian resort was a lovely way to start off our last leg of the trip where we moved hotels from the Saratoga Springs to the Polynesian Bungalows. Guys, they were incredible. If you can afford/ever get the chance to stay in them, they are on the lake that the Grand Floridian and Polynesian resorts look over. They were so nice and had their own private pools on the deck. Later this evening my fiance also flew down to Disney to surprise propose to me…you can read about that here if you’re interested! 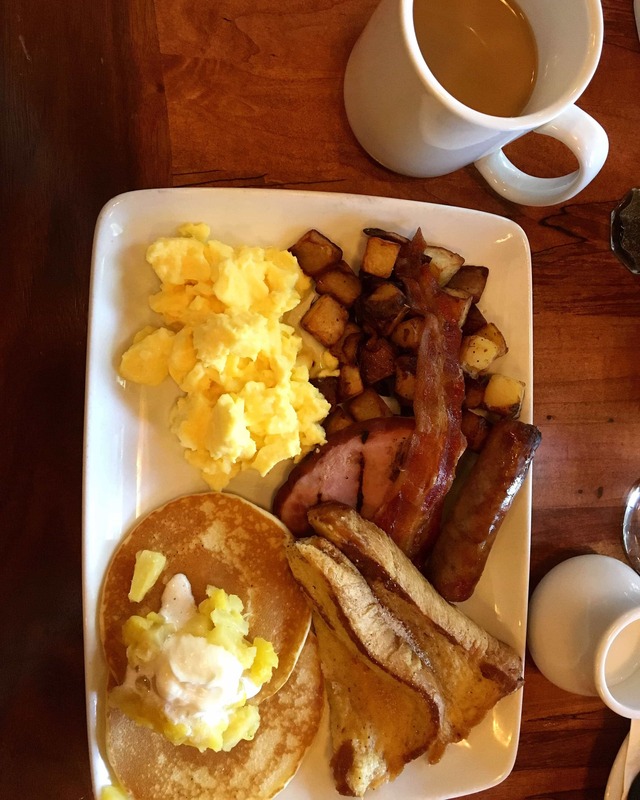 This breakfast platter was portioned perfectly, and the macadamia nut pineapple cream on the pancakes was so unique and delicious. Pictured above the food is my standard cup of morning joe. The older I get, the more I realize I am like my mother. 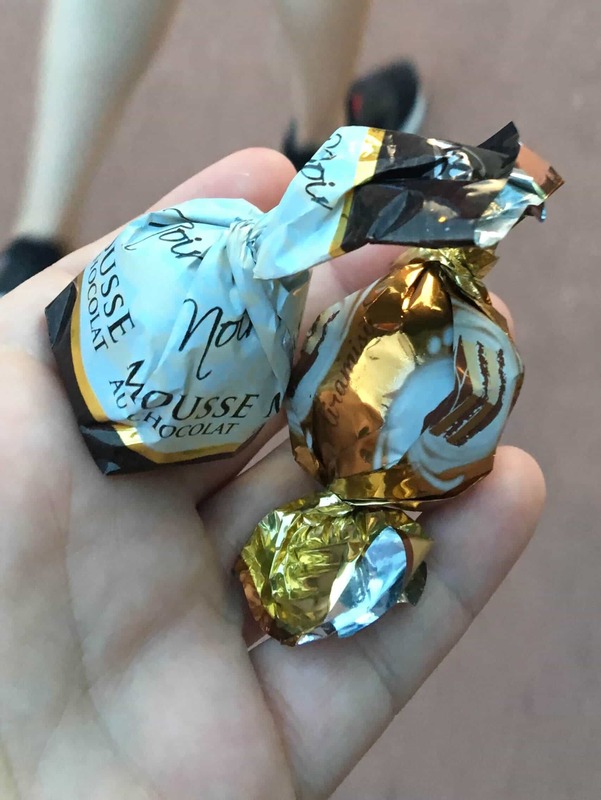 These are two truffles from Italy in the World Showcase in Epcot. My friend and I wanted to do an “unofficial chocolate tour” of the countries around the world but didn’t want to spend $8+ on a bar of chocolate from each country. Thankfully, we picked up a few single pieces from a few countries. I liked the tiramisu truffle from Italy pictured here. Last, but certainly not least, this rocky road sundae from Haagen Dazs in Disney Springs was probably not the last thing I needed to eat before we drove back to the Orlando airport, but it was my dinner for the night and I’m still convinced it was an excellent idea. This snapshot was popular on my Instagram – and I totally understand why. It was so. darn. delicious. I wish I could eat this all the time. Are you a Disney fanatic too? 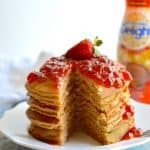 What are your favorite things to eat/do there? Let me know in the comments! It seems attractive and delicious. Love the way you clicked the pictures. You are very talented!!!! Thank you for the kind words, Sabrina!! You ate SO many good things! That PB pie is definitely what I would be NOT sharing with anyone. And that cute turtle dessert, too! There were SO many things to eat! I wish I could go back and just live there and taste everything! I didn’t share my turtle cheesecake but that PB pie was just too rich to finish in one sitting even though it was tiny. 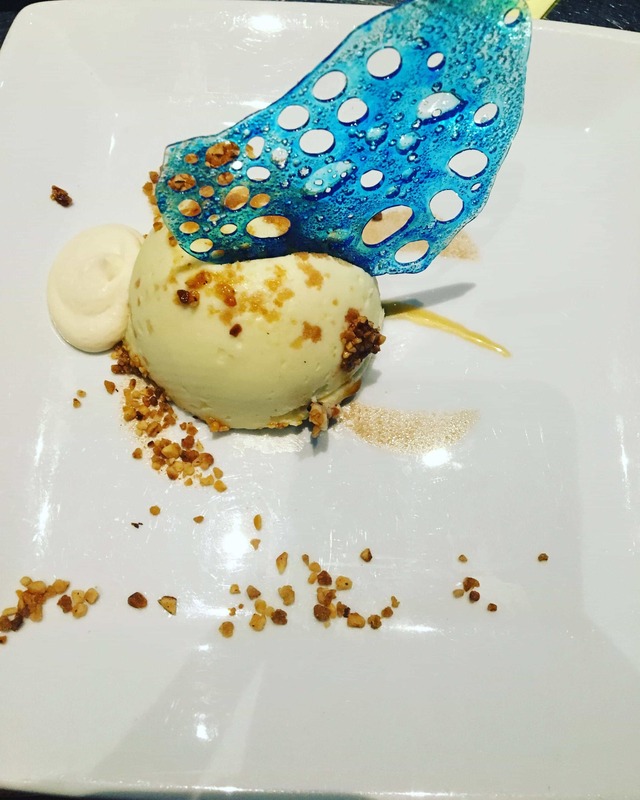 A recreate-able dessert for sure!